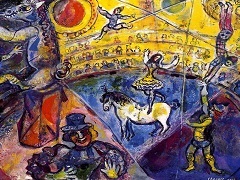 In 1969, Marc Chagall painted View of Paris, a haunting and dream-like Parisian scene that offers a unique glimpse of the city through the eyes of an artist. 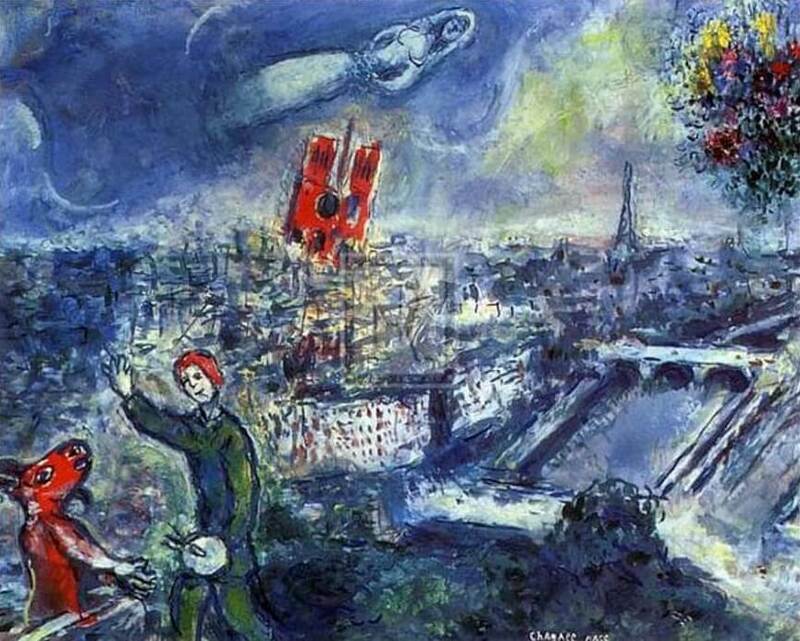 The Chagall View of Paris is remarkable, containing trademark motifs and displaying vivid colors - a perfect example of the artist's abstract and fanciful art style. 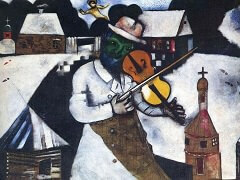 Russian-born, but revered as a French painter, Chagall painted numerous images of Paris during his lifetime, many of which co-mingled with his memories of Russia and Jewish heritage. 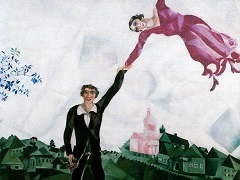 The Chagall View of Paris composition blends together elements of child-like fantasy, nostalgia and several signature motifs, including the woman floating in the sky, who typically appears in many forms of Chagall art. 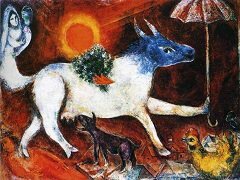 Despite the hardships in his life, this optimistic artist intended his work to be an ode to the vibrant colors of life and love. 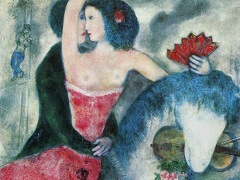 Chagall's deep love for Paris inspired many other paintings, including the "Paris Series" which was done between 1953 and 1956. 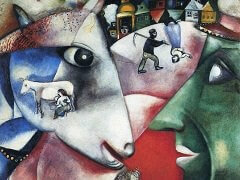 While the Chagall View of Paris was painted years after the "Paris Series", it contains many of the same themes, and confirms that the artist's enduring fondness for the city had not changed over the years, even though the city had.